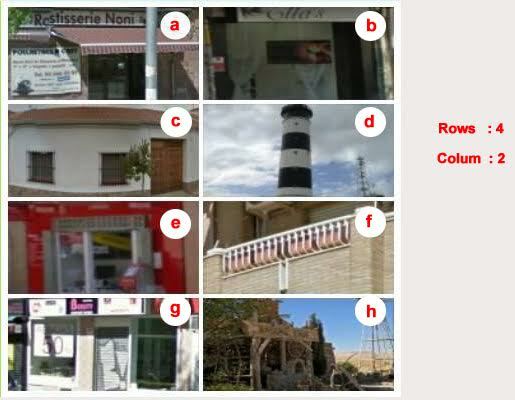 What is fully automated new no captcha | recaptcha image solving? 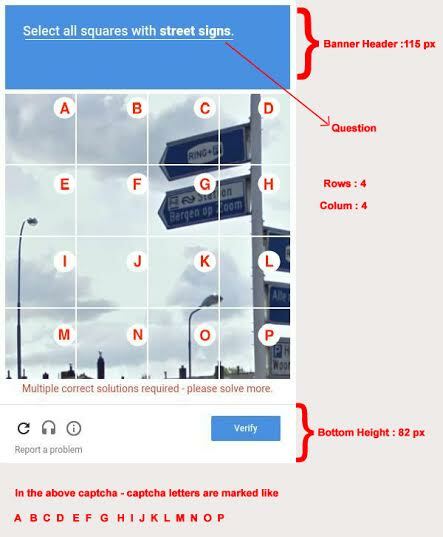 Just send us your no captcha|recaptcha api with no work from our side and our system will take care of the rest and send you the results. 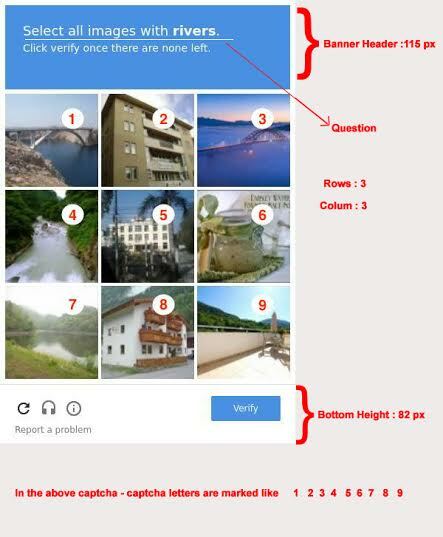 Remember this works only for image based recaptcha which requires selection of particular set of images. What is CSV in api? CSV is comma seperated value. If you want the answers to be comma separated like 1,2,3 or a,b,c then set CSV as 1. If you dont want the answers to be comma separated like 123 or abc then set CSV as 0. What are the details we need from you? 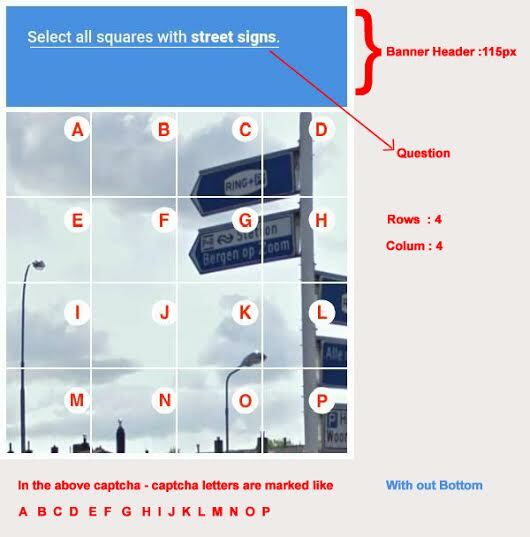 We need you to provide us with the number of rows and columns in your image and also to specify us whether you are sending questions along with images. When you send question with images we just want you to send the height of your banner that is the question part. Also you can specify us whether it has any bottom which needs to be omitted. If banner height and bottom height is left blank then the images will be spilt from the top to bottom or as needed. In the above example you can send the question seperately.